Did you know that if just 7% of the Christians in the world adopted one child there would be NO ORPHANS left in the world. I heard that statistic earlier this year and it shocked me because it seems so doable, and yet where is the church??? Why are we not mobilizing the 7%? Why are we not taking very seriously one of the few specific actions that Christ mandated? My sister belongs to a very small church. And in her church I believe there are more families that have adopted or fostered children than haven't. Like a lot more. And if you belong to her church and want to adopt, they support you by giving you $10,000 towards your adoption. That is a lot of money for a small church with just a couple of staff members. They take the call seriously. They are stepping up. More churches need to step up like this. I was told once that people who adopt are like missionaries, reaching the orphans for Christ, and therefore should be supported by the church as missionaries are supported. I think that is such a great way to put it. Our church supports missionaries all over the world and takes it very seriously. But we don't have an adoption ministry. 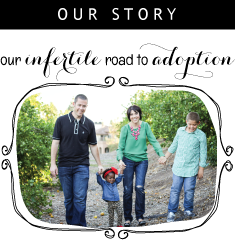 Even though there are many families in our church that have adopted or desire to adopt. My church needs to do better. Your church needs to do better. THE church needs to do better. 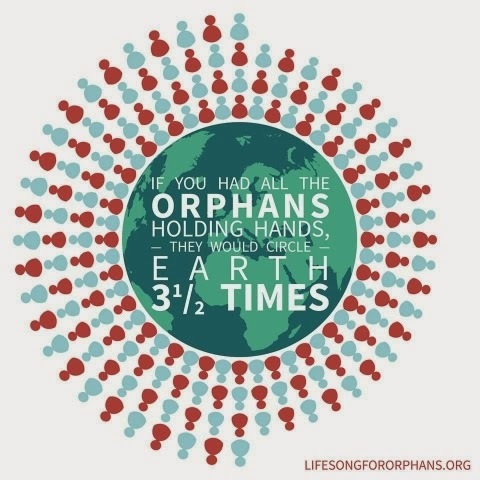 Can you imagine how the world would be changed if Christians stepped up in obedience and wiped out the orphan crisis??? Are you one of the 7%? Would you consider becoming one of the 7%? If you stick around here long enough, I just might convince you. Fair warning. No I am not, and yes I would consider it. Our church has just embraced adoption as one of their ministries. This statistic blows me away. I am an adoptive mom of three from our state foster care system - 2 are natural siblings and our oldest is from a different family. We were not able to conceive, even with extensive medical help. Adoption has blessed us unbelievably and we are so grateful to God for bringing our three children home to us.